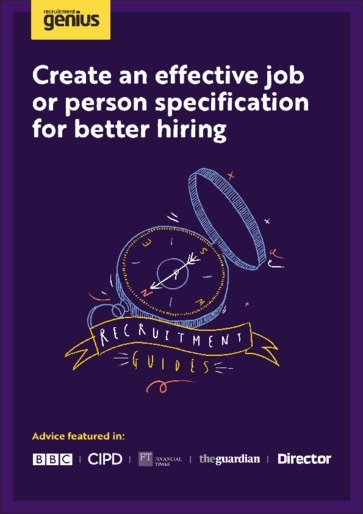 An effective job or person specification does far more than simply give a job title the skills and experience required. Rather than simply listing the tasks that the role holder will be expected to carry out, it should relate each activity to a specific outcome and, where appropriate, denote the resources which the individual will be expected to work with. You need to be specific about the level of knowledge which is required to carry out the role. Finding that perfect match, therefore, is not a matter of luck, but relies to a great extent on the recruiter’s ability to describe what the job entails and the type of person required to carry out the role effectively. This guide will tell you how to communicate the qualities that your successful candidate should possess and how to separate the educational qualifications, experience, knowledge, skills and competencies which are truly essential, from those which are simply desirable.